I, and my words, have wintered and now it’s almost spring. What of play, now, after these months of thinking, reading, always either being in with empathy, reflecting on or observing around this most ineffable of sustenances? I recently came across an article that seemed to link with my previous recent writings embracing mutual aid, collaboration and connectivity. The article (Let’s do branch: how trees socialise and help their neighbours by Amy-Jane Beer, 2019) is, admittedly, published primarily as a paid-for product placement link in an online national newspaper; however, glazing over that, I was caught up by the analogy I found myself conjuring of a forest of children, en mass, at play. Despite appearances, trees are social beings. For a start, they talk to each other. They’re also sensing, co-operating and collaborating . . .
Read as: Despite appearances, children are social beings. For a start, they talk to each other. They’re also sensing, co-operating and collaborating . . .
. . . the phenomenon known as ‘crown shyness’, in which similarly-sized trees of the same species appear to be respecting each other’s space was recognised almost a century ago. Sometimes, instead of interlacing and jostling for light, the branches of immediate neighbours stop short of one another, leaving a polite gap. Children move: they always seem to be moving, physically, but even when this isn’t so perceptible, they’re still moving, emotionally, psychologically, socially. Children are choreography in action. It’s easy to see when they’re playing ‘tag’, say, spinning towards and away from one another, but we might also consider how there is an emotional, psychological, social choreography in action too. It isn’t the ‘polite gap’ of physical trees or children that I wish to pay attention to here: it is the honour of ‘being a fellow child’ that I see, despite the occasional disagreement. There are small courtesies and allowances paid to one another, which are replete with knowing and feeling what it is in being ‘child’. If trees can be shy at their branch-tips, more recent research shows they are anything but at their roots. In a forest, the hair-like tips of individual root systems not only overlap, but can interconnect, sometimes directly via natural grafts, but also extensively via networks of underground fungal threads, or mycorrhizae. Through these connections, trees can share water, sugars and other nutrients, and pass chemical and electrical messages to one another. This is the nub of things. The forest of children is an interconnected affair, below the surface of what the many adults think they see or hear or know. It never ceases to amaze how the smallest particle or packet of information can fizz around the underground, along the root system and its off-shoots, to surface again elsewhere or elsewhen, maybe whole or maybe slightly modified but always passed without adult discernment. Children inhabit a culture, an extensive rhizomatic array, way beneath and beyond the forgotten comprehension of many adults of the local system above the ground. Canadian biologist Suzanne Simard . . . describes the largest individual trees in a forest as hubs or ‘mother trees’. Mothers have the deepest, most extensive roots, and are able to supplement smaller trees with water and nutrients, allowing saplings to thrive even in heavy shade. I have seen this mother phenomenon in action, but never really realised it as something akin to the trees until thinking recently. One child, girl or boy, of any age, quietly, humbly sustains those around them, sacrificing something, ignoring something, giving something and walking away. They get on with their own play. We of the playworking-minded adults think we have the monopoly on such actions, and sometimes we do act in these ‘mother tree’ ways, but when we see a child, quietly, come to give an upset other the doll she was playing with, say, walking away then without a word or gesture (or another, sat quietly stroking the hair of her friend in front of her, for reasons we can only guess the depths of), we can realise otherwise. Scientists have known for more than 40 years that if a tree is attacked by a leaf-eating animal, it releases ethylene gas. On detecting the ethylene, nearby trees prepare to repel boarders — boosting production of chemicals that make their leaves unpalatable, even toxic. It isn’t beyond the realms of possibility (what do we adults really know?) to suggest that a locale of the forest of children can act in similar ways. An attack on one is a warning to the others, and the others can then seem just as toxic to the attacker looking for more to feed on. I have seen small groups closing ranks. The question remains, though: what, or who, here constitutes the toxic agent? A sobering aspect of recent revelations is that many of these newly recognised ‘behaviours’ are limited to natural growth. In plantations, there are no mother trees, and there is very little connectivity. This is partly because of the way young trees are transplanted and partly because when they are thinned to prevent competition, what little underground connectivity neighbours have established is severed. Seen in this light, modern forestry practices begin to seem almost monstrous: plantations are not communities but crowds of mute, factory-farmed individuals, felled before they have ever really lived. This paragraph, to me, is very poignant. I shall leave you to draw your own conclusions of minutiae and wholenesses on it. 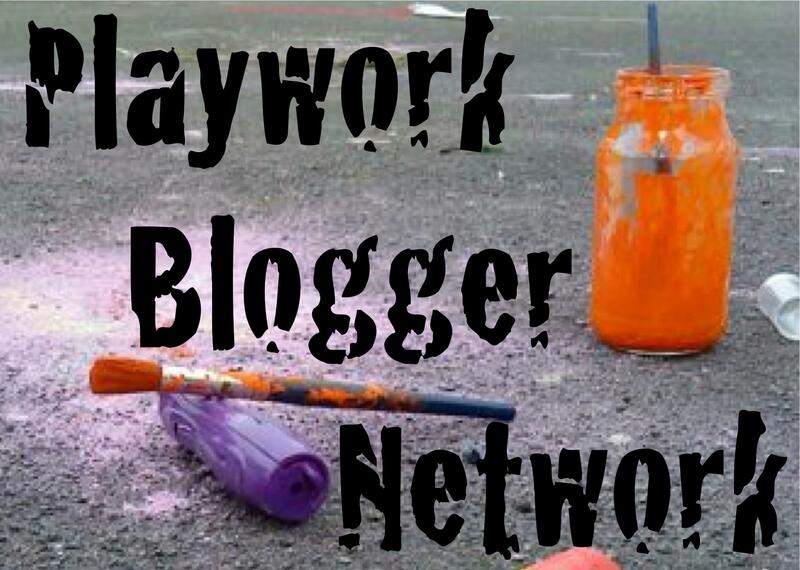 For this playworking-minded writer, it suffices to say that we can affect a positivity of nurture, in all manner of circumstances and to some degree, but it’s better if the nature of connectivity isn’t stripped away or trammelled on to start with. It is with some degree of frustration that someone of a playworking disposition regularly hears the ‘frivolity, or incidental nature, of play’ rhetoric, inherent in various communication. It’s not only in conversation with others that this perception takes place, but it can — in part — be traced within the play literature too. More specifically, in this latter context, and although the current reading matter in question is pro-play (it’s conversant with the idea that more is going on than may meet the eye), play can still have the tendency to be written in terms of contrasting the opinion of play as ‘the not real’ with ‘the real world’. Although not lining up squarely with the idea of ‘the frivolous’, this unreal aspect can be seen as just as ‘throwaway’. The starting point for this post’s writing (notwithstanding the general years-long ‘unreal/real’ contention having continued to be a background concern) is another of the regularly-cited offerings of play and playwork writers: Catherine Garvey’s simply titled Play (originally published 1977; second edition 1991). In this book, Garvey posits the oft-cited five characteristics of play, these being: its pleasurable nature; that it has no extrinsic goals; its spontaneity; an involvement of active engagement; its systematic relations to what is not play (Garvey, 1991: 4). It is not, however, these characteristics, directly, that I’m looking to draw attention to with this post: it is to the idea of ‘pretend’ or ‘make-believe’ play that this post writing is concerned. Though there is the hint, in this paragraph, towards something not altogether faithfully and accurately reproduced in the children’s play imitations of adults’ actions, there is still the dominant rhetoric of ‘play as practice’, as perceived, or ‘play as progress’. What if we were to take an entirely different angle? What if we were not to carry on referring to play as something ‘pretend’ or ‘make-believe’, unreal and essentially imitative? What if we stopped making such sharp contrasts between what we regularly suggest as ‘the real world’ and ‘the unreal world of play’? So then, what if we were to start seeing play as the real world, or a real world, in its own right? (By extension, and just as a thought exercise, which I won’t follow up here due to the scope of this writing, what if play were to be seen, routinely, as ‘the real’ and everything else — if we could make such a distinction — were a pale shadow?). Before following the line of thought on ‘play as a real world in its own right’, a note of caution regarding culture as a perceived, and as a received, phenomenon: children are active participants and a part of any given culture and will assimilate the received dominant phrases and sometimes meanings of others, including adults, in their reflection of and addition to that culture — whether a child is using an adult concept in description of their own play, or whether it’s a phrase of the subculture of the child-world, it’s hard to say, but they can and do use words such as ‘pretend’ (where does a word or a meaning start?). To illustrate the point, I highlight here a study (Sandberg, 2002) referred to by Lester and Russell (2008: 215) ‘regarding teacher intervention in children’s play in Swedish preschool and after school settings’. Children’s opinions are sought and some are quoted as saying that teachers ‘cannot play pretend games’ (Lester and Russell, 2008: 216). It is to the idea of culture-as-perceived, rather than to culture-as-received (notwithstanding the reality that culture is not a one-way street of adult to child), as is potentially the case with the Swedish study above, that the playworking attitude is drawn: play is a real world in its own right, though operating simultaneously and inextricably connected with other ‘real worlds’. It is perceived here, and experienced by children, as real not pretend (even if potentially received adult descriptive terminology leaks in). The Garvey position quoted above does have its antithesis in the play and playwork literature; however, first a small spread of more play versus ‘the real world’ positions. What is this ‘real world’ that these writers keep referring to? There is a connect in how people talk about play too: still there seems to be a preoccupation with play-as-practice, play-as-unreal, play in terms of developmental progress towards being able to perform tasks in ‘the real world’; there is a distinction between ‘this is time to play’ and ‘this is time to learn, do chores, engage in any other real-world situation’. There is, however, an antithesis to the unreal/real rhetoric buried within the literature. Play is another world: it isn’t an ‘unreal’ world (though, Sutton-Smith contends that it is an ‘irreal’ world), it is another whole world that sits along with the mundane world. I would go further and say that play is a world that is inextricable from the mundane. Within the scope of this post though, play is a real world in its own right. Whilst this ‘deconstruction’ perspective is a welcome relief from the ‘reconstruction’ rhetoric that tends to dominate, it still doesn’t totally tally with the culture-as-perceived, as I see it. To this end, we need to steer towards another stalwart of play and playwork literature: Johan Huizinga. To reach him, however, a quick detour back to Garvey (1991: 56), who writes that ‘play generally reflects a willing suspension of disbelief’ (original emphasis). I read this as the idea that there is a knowledge in the child of what is happening in the play (the ‘unreal’ in adult-speak), which can’t possibly happen ‘for real’/in ‘the real world’. Is this the case? Is it true that there’s such a stark differentiation between ‘what is play’ and ‘what is not’ (what is ‘unreal’ and what is ‘real’) in the playing child’s thinking? Yes, cultural appropriation of words such as ‘pretend’ filter through child-culture, but if you’ve ever seen a child talking in what adults think of as gibberish with another child then you might appreciate the sophistication of mutual understanding which is both ‘pretend’ and ‘not pretend’. (I once spent a good part of an afternoon with a group of younger primary school children at play, communicating only in the language of ‘monkey’, and we all seemed to understand each other perfectly well enough). So to Huizinga, whose writing on play and being I come back to time and again. Notwithstanding the use of the outdated word ‘savage’, Huizinga (1955: 25) writes: ‘In his magic dance the savage is a kangaroo’. It is in the area of religion and belief that Huizinga writes here. If faith is real to the believer, it’s not too far a leap to see that play is real to the player. Huizinga goes on to state that: ‘We express the relationship between him [the savage] and the animal he ‘identifies’ himself with as a ‘being’ for him but a ‘playing’ for us. He has taken on the ‘essence’ of the kangaroo, say we. The savage, however, knows nothing of the conceptual distinctions between ‘being’ and ‘playing’; he knows nothing of ‘identity’, ‘image’ or ‘symbol’.’ (ibid). He is the kangaroo. It’s real: or, at least, in this perception as I describe it, it’s real. It is, therefore, to this idea of perceiving what children do, perceiving them at play, in terms of perceiving not an ‘unreal world’ or a frivolous act, but a very real world, ‘another world’, a possible phantasmagoria in its own right, that I draw attention. Children might well attach adult-appropriated words in describing acts of their own devising, but ‘pretend’ is also real. It just takes a shift in stance to see it. Bailey, R. (2002), Playing social chess: children’s play and social intelligence. Early Years, 22(2): 163-173. Cited in Lester, S. and Russell, W. (2008), Play for a change — play, policy and practice: a review of contemporary perspectives. London: Play England/National Children’s Bureau. Garvey, C. (1991), Play. 2nd ed. London: Fontana Press. Huizinga, J. (1955), Homo ludens: a study of the play element in culture. Boston, MA: The Beacon Press. Lester, S. and Russell, W. (2008), Play for a change — play, policy and practice: a review of contemporary perspectives. London: Play England/National Children’s Bureau. Sandberg, A. (2002), Children’s concepts of teachers’ ways of relating to play. Australian Journal of Early Childhood, 27(4): 18-23. Cited in Lester, S. and Russell, W. (2008), Play for a change — play, policy and practice: a review of contemporary perspectives. London: Play England/National Children’s Bureau. Sutton-Smith, B. (1997), The ambiguity of play. 1st ed. Cambridge, MA: Harvard University Press. Sutton-Smith, B. (2008), Communication with Fraser Brown in UKplayworkers (chatroom): the virtual community for playworkers. Digest Number 2562 2a [online]. Defunct. Sylva, K. (1976), Play and learning in Tizard, B. and Harvey, D. (Eds. ), The biology of play. London: Heinemann. Cited in Garvey, C. (1991), Play. 2nd ed. London: Fontana Press. What’s the point of you, playworker? It’s that time of the year again when I’m minded to ponder back on playworking actions, non-actions, things learned along the way, and things to chalk up to further experience. If we forget to write these things down, we don’t seem to remember all the finer points and nuances. I’ve been less frequent as of late in my play and playworking writings: the specifics of a wider work responsibility have definitely contributed to this. That said, the beauty of play and playwork is that there’s always something to reflect on. The other day, close to the end of term, I was walking back from school to the adventure playground with a group of children. One of the boys was on a bike and he likes to ride ahead on it. It’s usually not a problem because he has a fair to good road-sense and he stops at the corners for the rest of us (most of the time!). This day, however, I asked him not to speed off ahead of us. I didn’t really think it through and the more I asked him, the more irritated he got with me (of course). It ended up with him swearing under his breath at me, shouting ‘What is the point of you?’ at me, and finally he threw his bike down in the middle of the pavement and walked off ahead in a quiet rage. I shrugged and breathed in deeply. I decided to leave the bike there. Luckily for him one of his friends picked it up at the back of the group we were in and walked it back for him. The boy and me were not on the best of terms, at that moment, I could clearly see. So, that’s the jumping off point for this post: what is the point of me (in playworking terms, not getting all metaphysical about it!)? It’s at this point that there’s a danger of ‘Ego’ creeping in though. Playwork shouldn’t be about ego, surely? If we weren’t around, would children play anyway? Sure, they would, so that then leads the mind along the oft-trodden reflection of what playworkers do again. What is it that I’ve done this past year, these past years, for the children around me at play? If you’re a playworker too, what have you done? Sometimes I’ve got in the way. Absolutely! The other day, a group of boys were riding their own and borrowed bikes down the concrete ramp (as is their current fad), slamming their brakes on at the last moment to execute a skidding circular stop. They mostly missed the metal storage container wall by a foot or two. One younger boy came down the hill on a bike a little too big for him. He neither braked nor turned the handlebars. He slammed into the old upturned waterslide panel in the corner. Naturally, I thought, I ought to drag a big old crash mat over there, prop it up so it didn’t take up any discernible circling space, and walk away. No, though. What I got was a resounding, ‘Oh, now you’ve ruined it! You’ve taken away what this place is for!’ OK, fair enough there, though some of the boys did then evolve the play after that into deliberately slamming themselves into the mat rather than turning the bike. Is it? Is that true? So maybe the point of me is to try to make sure no-one breaks their neck? Perhaps the children only ever see these moments of me when I’m too in their faces: they don’t see the way I observe them climbing the tall trees, poking their heads out from the very top branches (me, flinching at it all and holding my breath); they don’t see how I observe the way they find and drag a big old section of telegraph pole right across the playground, fixing it first to the top of the waterslide, cantilevering it into space, then hauling it up the difficult steps of the treehouse, cantilevering it out again and securing it with ropes and bricks in bucket weight systems; they don’t see how I watch on as they’re climbing on the top of the filing cabinets, or waving fire sticks in the air, or smashing old electrical equipment from great heights, and so on. I can’t even begin to weigh up all the play I’ve seen on the playground this year, let alone all the play out there in the streets of the city, on public transport, at schools, in little moments met in passings-by. When I have occasion to briefly meet a child I know, as they walk past, recognising me for a fraction in between their conversations with siblings, friends or parents, I often suddenly think just how many children I have worked with and for, over the years. Just like all of us who’ve been around for a few years, I can confidently say the number is well into the thousands. That causes just a small pause sometimes . . . The other day I was talking with a playworker colleague who’s been doing it just a little longer than I have: between us we have something like fifty years of stories of working with children. He told me the story of how he recently met a woman who was a mother now but who had been a child at one of his work places, back in the day. He said that he knows they all grow up, the children he used to work with, but it was still a little strange. It made me reflect on how all those children are kind of preserved in their childhoods in the memory. All the play, and all the interactions, my colleague said, were still there in his mind. It’s true: all these things come back as if they never changed at all. It was a coincidence then, around about that time of the week, that I was driving home, listening to a comedy show on the radio, and the announcer offered up a name I thought I recognised: she, the named woman, was someone I thought I knew, way back in the day. I listened in hard to her voice when she came on and did her ten minute slot. Was it her? Did I hear the announcer corrrectly? Was this a child I knew way back in the day? Then she told me a few little facts about her life and I knew it was her! What a strange experience. It turns out she’s quite big on the comedy scene now. I knew she’d been aiming for that (rumour had it), but I didn’t know she’d ‘made it’. I didn’t realise that she, as with all of the children I once knew, had grown up. I often wonder what the children, back in the day, remember of me and my interactions with them at play. I don’t think of it in an ego kind of way: just curiosity. Maybe they don’t remember my name or anything particular about me, but maybe they remember that one day I said something, did something, understood something, became significant in some way. There are thousands of such scenarios floating away out there, a thousand thousand, and that’s just for me alone. ‘What is the point of you?’ the angry boy with the bike shouted at me recently. Later, after the conversation on the sofa, after agreeing that all we both needed to say had been said, when he was collected at the end of the after school club session he called out goodbye to me at the door, and of his own volition. What we do, as playworkers, apart from trying to create more and more opportunities to play, protecting the play frames where we can, protecting the playable environments, pushing and advocating for play tolerance to all and sundry, looking for small and large pots of funding to maintain those fenced-in spaces and those street spaces, reflecting on moments of getting it right and moments of getting it wrong, taking to task the politicians (both lower case and upper case) of the world, working with teachers and head teachers and early years workers and youth workers and health professionals and artists and parents and grandparents and carers and the man and the woman in the street, and so on, in trying to appreciate play, play for play’s sake, play for the here and now . . . what we do, as playworkers, apart from all of this, and more, is try to do all of this without us being the ego at its core. It isn’t easy; it isn’t about us. Maybe a little of us remains, years on, despite our intentions. What is the point of you, playworker? Maybe the children can tell us when we’re all too old to run around any more. Every so often I get on my high horse about certain repeated (and repeated) themes and situations that seem to always crop up in this, my playworking life. Often, that theme is wholly something along the lines of ‘just accept that play is play in the player’s head, and nothing to do with instrumental ways of educating, socialising, and so on.’ Sometimes, the theme is more along the lines of ‘just let them play’. At other times, the theme is ‘respect children.’ Other themes crop up along the way. This post is another in the continuing action in support of children, bringing a combination of these themes back out into the light. There’s a line from a poem, or a title in itself, I forget which and by whom it was written, but it highlights the idea of ‘waiting for the echo’. You shout out into a cavernous space, and you wait for the call back of agreement . . . It really isn’t so difficult a concept, I think (I have always thought), to understand that play is play (just that), and that we can and should just get out of the way of that, and that we can and should respect children (them, as people, because they are, and their right to play). Hello? Hello? Waiting for the echo back. I’ve been witness to some pretty shocking adult disrespect of children and their play recently. For sure, we all have bad days as adults (that’s what being human encompasses, I suppose! ), but a continual belittling of children and their ideas by certain adults, or talking at them as if they’re stupid, detestable, or malignant creatures is only going to go one way. I have seen this done recently by parents, teachers, and teaching assistants. It shocks me that those adults who are amongst the closest to children (in terms of family and in terms of time spent with them during a day), can treat them with some contempt. A disclaimer is necessary at this point, as I often do at times of such ranting: the above examples aren’t the over-riding majority of recent experiences, yet they are significant for being noticed. If a child is playing in a way that a playworker knows he likes to play in (for example, rough and tumble with a friend, who he knows he might hurt, and who he knows might hurt him back, but in a way that neither is really trying to hurt the other), and the playworker on the scene knows and sees all this — understands and feels it — what will the power dynamic of overbearing control imposed on that play frame by an unsympathetic adult do? The children may change their play behaviours instantly, out of fear, or out of intelligent ‘towing the line’ until the controlling influence has gone, or out of embarrassment, and so on, but ultimately this is a drip feed of unnecessary anxiety delivered upon that child. What will the accumulated net effect be? These command and control adult tactics can often be metered out in seemingly trivial areas for expected compliance. They can be delivered with the ‘shock and awe’ approach that just makes everyone stand still, shut up, and watch, or they can be delivered in more low-key ways. One of the seemingly trivial areas that controlling adults often insist on, in either of the above ways of delivering it, is the old (not so) favourite that is ‘now, share.’ I recently witnessed a group of younger children playing on a wheeled contraption away from the playground, and this thing they played on wasn’t big enough for all of them. The children who weren’t on it were pleading with the children who were on it to let them have a go. Instead of opening up a possibility for the children to negotiate, or instead of saying to the pleading children that they would have to wait (hey, life’s like that sometimes), or instead of doing nothing and just observing because sometimes, often, children can work these things out, the adult in attendance screamed at the children to share. It was a demand, it was forceful, and it was embarrassing. The place of interrupted play was then tense. The adult wasn’t a playworker. Now, of course, as we need to keep reminding ourselves: none of us is perfect and sometimes we have bad days, and sometimes we get it wrong. There is, however, wrong and there is wrong! Some days I know I’ve operated in what the eminent Mr Hughes detailed as the ‘functional’ approach to playwork practice. It happens. Some days, I have slipped into what he calls the ‘repressive’ approach. This happens too. We can be tired, worried, or any number of other ways of being off-guard or not on the ball. We should get over that though, and quickly. We should reflect in the moment and after the moment, and continue reflecting on it. We should, at the very least, apologise to a child if we have, in any way, caused them unnecessary anxiety. Quite often, when I see that someone else, some other adult, has caused a situation of unnecessary anxiety in a child, and that they clearly aren’t aware of it (or that they don’t care about it), or they aren’t reflecting (which you can often see in a person’s actions), or that they haven’t apologised, I feel the need to make amends in some small way to that child. Recently, I have sought to distract the anxiety-causing adult in full flow; I have positioned myself between them and the offended child (not as a means of physical protection but just as a kind of psychological blocking off); I have stuck my tongue out at the child as a play cue; I have bent down to their level to try to re-engage them in their play, or to offer them new play cues to be getting on with. All of this is repair. Maybe this is all an important part of a playworker’s reason for being, his or her duty, their value out there, away from the more cosseted fenced-off playground places, in the public realm. I hadn’t thought of it all this way in so many words before. I knew that advocacy for play comes high in public spaces, and I knew that urban spaces could effectively be ‘repaired’ for play, but what about the playworker as sticking plaster for the repair of other adults’ imposed anxieties in the public realm . . .?